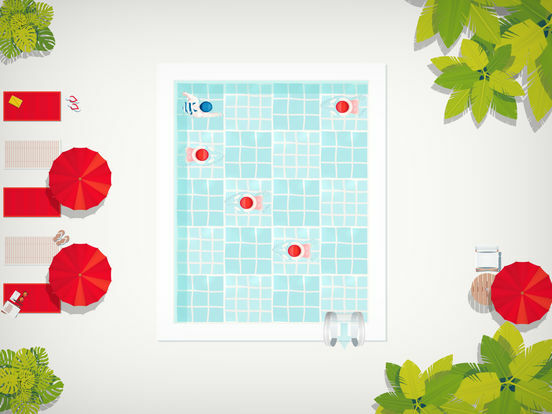 Dive into the relaxing and refreshing atmosphere of Swim Out, a strategic, turn-based puzzle game, that will transport you into a sunny day by the swimming pool, the river or the sea. 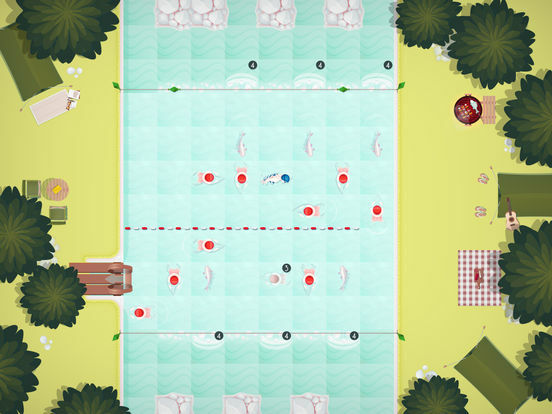 Plan each of your strokes wisely and be sure to never cross any other swimmer's path if you want to peacefully enjoy the sea view on a cosy chaise-longue. 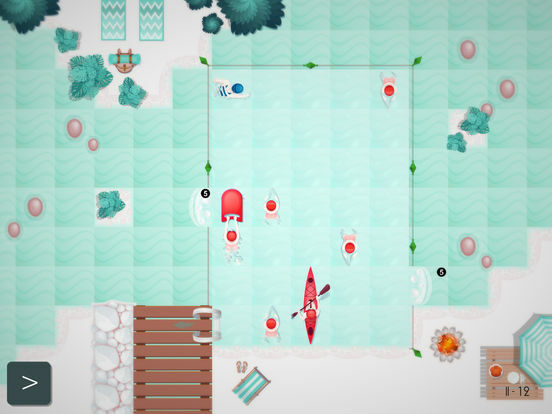 The game does a great job of pacing the introduction of new challenges to keep things continually fresh and interesting. 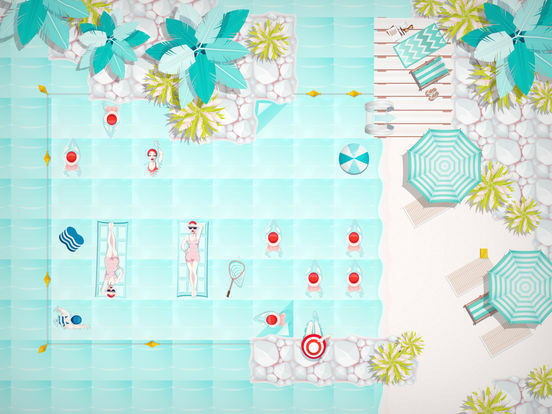 There are over 100 levels, all of which look great and are accompanied by happy summertime at the pool sounds. It's really quite relaxing. 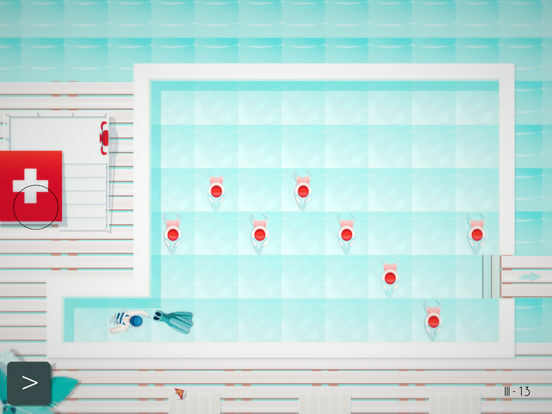 Swim Out is also technically a landscape game, though there is nothing stopping you from turning it to portrait mode for some one-handed puzzling.